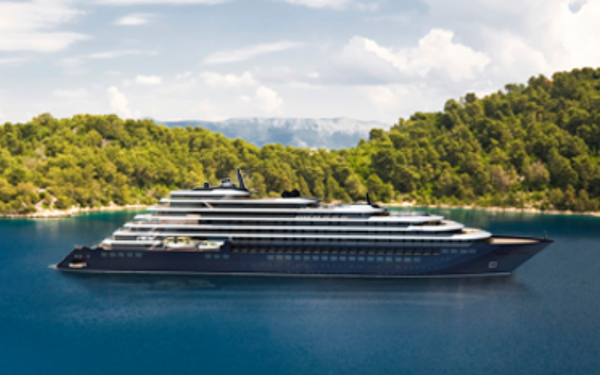 The Ritz-Carlton Yacht Collection is preparing to offer “ultra-luxury cruises” starting next year on the first of three custom-built yachts. The company, which uses The Ritz-Carlton mark under license from The Ritz-Carlton Hotel Company and is not an affiliate of The Ritz-Carlton Hotel Company or Marriott International, has begun an email campaign directing prospective customers to the company website, The Ritz-Carlton Yacht Collection. The website allows visitors to sign up for a digital brochure with itinerary information for the inaugural season. Prospective guests can also sign up for email marketing from The Ritz-Carlton Yacht Collection, where they’ll receive the latest offers and programs leading up to launch. A PR spokesperson declined to reveal which agency created the email campaign, website and digital brochure. Each ship will accommodate a total of 544 people, including 298 passengers in 149 suites and 246 crew members. The company will fill a distinctive niche, says Doug Prothero, chief executive officer of The Ritz-Carlton Yacht Collection. Prothero was on hand at the Rolls Royce Villa at Concours D’Elegance last year promoting the company. “The intimate size of our yachts allows us to sail into coveted city harbors around the world, and the relaxed pace offers both daytime and overnight ports of call, giving guests more flexibility for their time on land,” Prothero tells Marketing Daily. The first yacht will cruise a wide variety of destinations, including the Caribbean, the Mediterranean, northern Europe, Canada and New England. Voyages will range from seven to ten nights with ports including Barbados, Cartagena, Bordeaux, Copenhagen, Mykonos and Portofino. Each itinerary includes a range of distinctive activities, from the christening celebration on the inaugural voyage to the Monaco Grand Prix, the Edinburgh Military Tattoo music festival and exploring the yachting playgrounds of the Greek Isles, Balearic Islands and French Riviera, Prothero says.